I love the emerald color of that skirt. Hey, at least you look super cute in the cold! 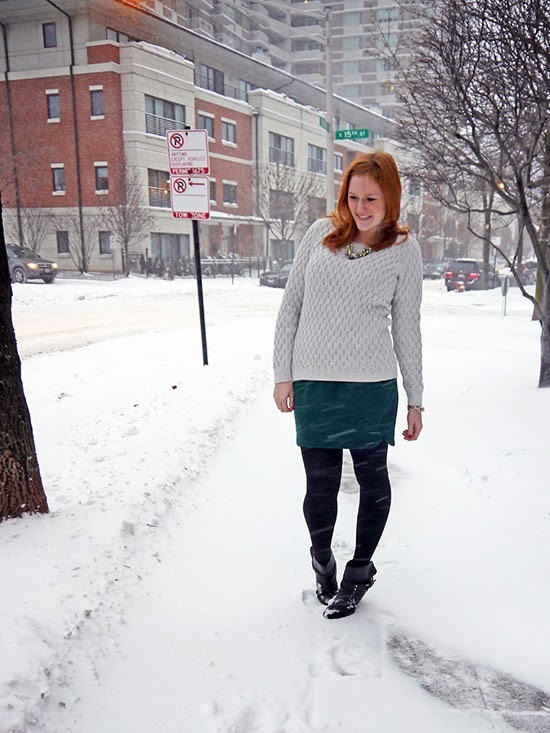 I couldn't bring myself to take outfit photos–I hate being freezing! No snow here yet in England even though it's very cold. 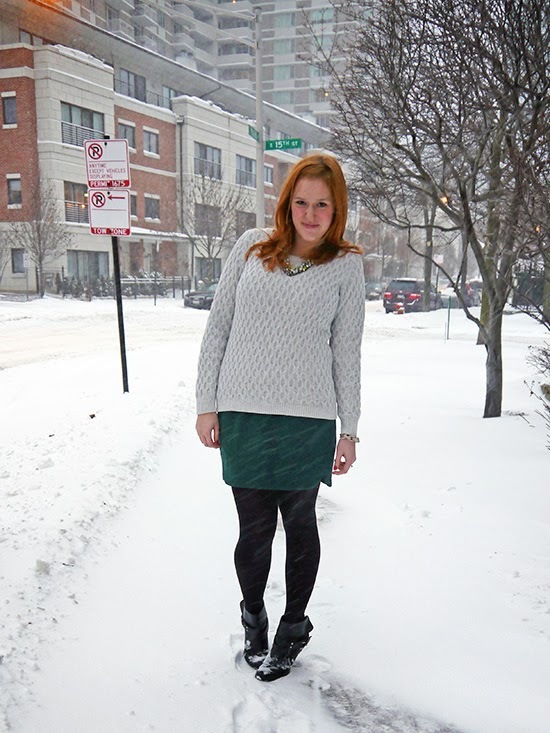 This skirt is gorgeous and you must have been FREEZING taking these photos! Huzzah! You like the sweater I got you! Im always nervous!!! Super cute AND warm, that's a double win! I LOVE the color of that skirt! It is so cute! Thanks Alissa!! I somehow have ended up with too many green skirts in my closet, I feel like I wear them all the time! I think it's still available, just not in green. Wow, that looks like a lot of snow! And so sorry you got locked out - though it is nice when fashion saves the day! I cannot believe you took photos outside. You are amazing. I've been cowering in my house for days (hence why I have no new photos this week). But the freezing weather and snow army crawling were worth it- you look amazing! EMERGENCY! It fits really well. I've worn it with a shirt tucked in and untucked and I think it looks good both ways, no unfortunate midsection highlighting. I bought my usual size, didn't size down like I sometimes do with skirts. 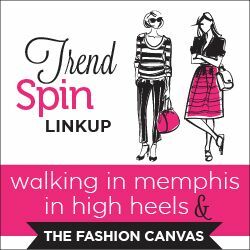 So excited to find another graphic designer who is also a fashion blogger! I can tell I'm going to be entranced by your blog for the next few hours haha!